This past weekend at SXSWi, BBH Labs, an experimental arm of the international marketing agency, came under heat for its Homeless Hotspots project. 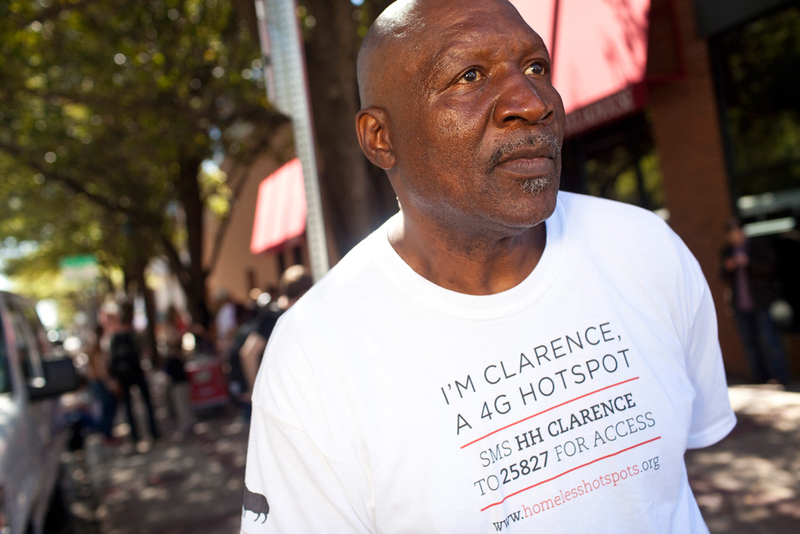 In a nutshell, members of the Austin, Texas’ homeless community were given a 4G hotspot, a shirt announcing the available service and a wage of $20 per day (CORRECTION: participating members were paid a per diem of $20, with an additional $30 for each day of work, as well as the earnings from hotspot payments). The idea was to create interaction between two vastly divided groups of people – the homeless and the digerati. Needless to say, there was a serious brouhaha (or shitstorm, as they say where I’m from) all over the Internet including the NYTimes and Wired raising legitimate concerns with the project. So what exactly is wrong with BBH’s HomelessHotspots? Everything. But not in the malicious way the self-righteous among us would like to believe. The real problem is that Homeless Hotspots represents the increasingly uninformed but well intentioned social media pundits that often end up making sad situations worse. Let’s call it “SocialWashing”. We don’t give people passes on software development or business models when they are woefully (even dangerously) uninformed (unless you’re Dave Morin), so why do we constantly do this with causes and social good? 2. Hi, I’m selling portable Internet access for events. Purchasing stuff and feeling good about it is great! There is nothing wrong with that. But purchasing items for a good cause, while not really helping create change is a total bummer, and it happens all the time. Attendees and visitors at SXSW were confronted with an issue of homelessness, and then able to quickly wash over it by purchasing 4G access to feel like they’d “helped out”. What’s been left off the table is the greater reality that homelessness is still a major issue and there hasn’t been enough attention devoted to organizations who are dedicated to creating systemic change in their communities. Let’s pretend we had BBH’s budget and directorial power. What would we do? Step 1: Help those who are actually dedicated to the cause. Spend real time with FrontSteps (the participating nonprofit that’s devoted to helping the homeless in Austin) to understand their mission, how they’re helping homeless people in the community, and what they need to make that happen. If the social web can help do powerful, amazing things, why are we settling for “make one guy’s day a little brighter” when we could “completely change the issue of homelessness in Austin forever”? The best part is, we don’t even have to do most of the work, there are passionate, dedicated people already devoted to that; they work at nonprofits! There’s nothing wrong with these 4G Hotspots and using them to raise money. But we should focus on what sustainable outcomes we’re working towards. These hotspots should be a tactic to raise money and awareness, not the end game. What if every purchase of goods and services at SXSW provided an option to give to local organizations? What if those organizations were at the event, showing you the outcome of all their hardwork much like successful organizations charity:water and donorschoose.org have done in the past. Why can’t the tech community (vanguards of the future!) help facilitate that? BBH is riding this PR stunt to unforeseen amounts of publicity and awareness. Imagine, that we’d done steps 1 and 2, and then brought companies that were looking for similar exposure at SXSW into the fold. What if it was just as easy to support local charities and discover brands that do care without the gimmicks and tricks? Imagine companies and individuals learning about and supporting various local charities together–everyone aligned to make a difference where each entity (nonprofit, business, individual) is gaining respective value – exposure for companies, money for charities and real engagement for individuals. It’s ok to race ahead to the future, the future beckons those entrepreneurial spirits and powers innovation. But let’s not sacrifice those who can’t race wildly in that pursuit, because they’re just as human as we are and they deserve as much. No one expects every person to sit down and devote their lives to radically changing the lives of others. But there is a better way than what BBH Labs has done. There is a way to bridge that digital divide, and find real tangible connections with other people who may need our help. I believe that social entrepreneurship and nonprofits can not only co-exist, but are vital to each other and to creating the future of philanthropy and social action. It’s going to be complicated, messy and difficult. But that’s what we’re trying to figure out at Good Karma. Let me know if you want to help, or be a part of it and sign up here: www.thegoodkarma.co or give me a shout on Twitter @GoodKarmaCo.